Silicone Baking Mat Just $14.95! Down From $23! 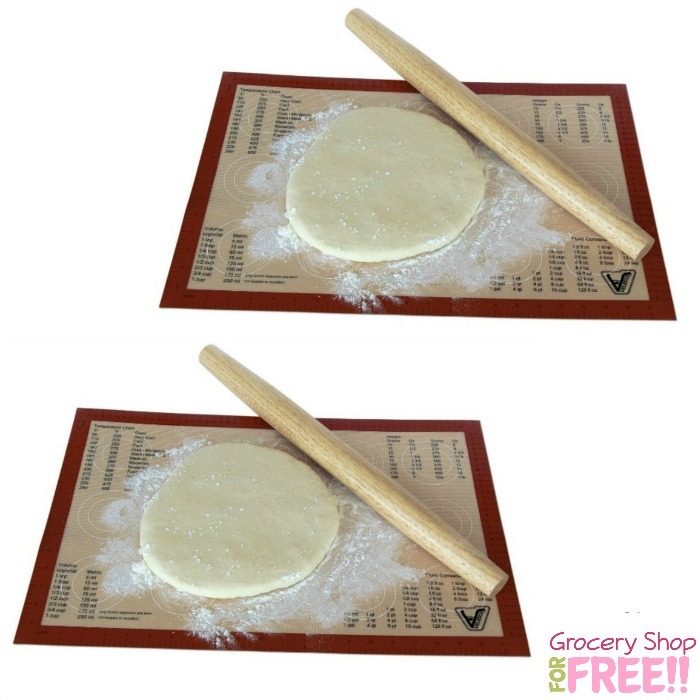 You are here: Home / Great Deals / Amazon Deals / Silicone Baking Mat Just $14.95! Down From $23! Amazon has this Silicone Baking Mat for just $14.95 (Reg. $23)! OVEN/MICROWAVE/DISHWASHER/FREEZER SAFE – DURABLE & LONG LASTING: It’s flexible yet tear resistant, and designed to withstand thousands of uses under extreme conditions of bitter cold and intense heat (from -40°F to up to 480°F). PERFECT, CONSISTENT RESULTS: Silicone/fiberglass hybrid construction helps to distribute heat evenly along the entire baking surface therefore you always get perfect consistent results every time you bake – no more burned and under-baked spots. Look at the pictures of the bread I cooked. It’s perfect all around!